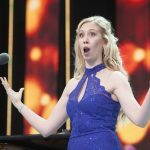 New search launched for singing stars of future | News by Wales Express News, People Before Profit! A “supremely talented soprano” has launched a search to find the world’s most talented young singers. 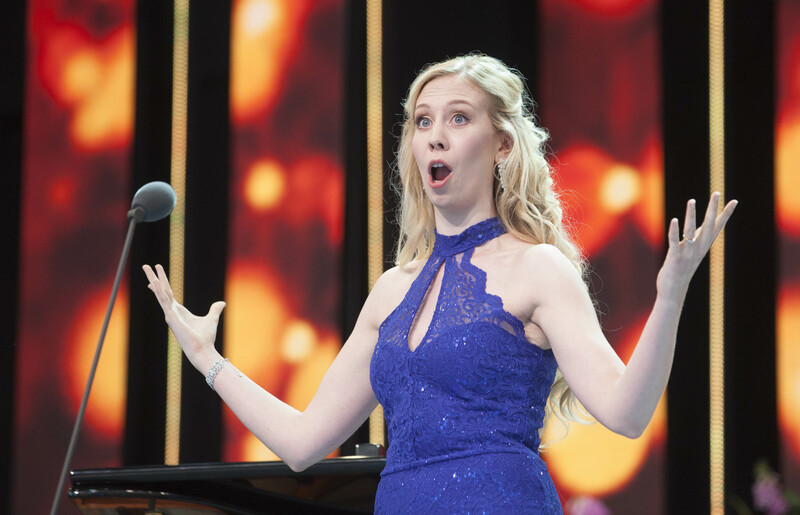 According to Charlotte Hoather, 25, winning the prestigious Pendine International Voice of the Future competition at the Llangollen International Musical Eisteddfod last year catapulted her career to a new level on the global stage. Organisers say entries are already flooding in for the prestigious competition this year which has a first prize of £5,000, along with a £2,000 cheque for the runner up. Every year the picturesque town of Llangollen in the Dee Valley welcomes around 4,000 international performers and around 50,000 visitors to the week-long festival of music and dance. Among the highlights of the week is the prestigious Pendine International Voice of the Future competition, which showcases young talent alongside other gifted global performers. Once again this year the arts-loving care organisation, Pendine Park, is contributing £5,000 to the prize fund and a beautiful silver salver via the Pendine Arts and Community Trust, with the balance coming from Sir Bryn’s Terfel’s foundation and Llangollen Eisteddfod. Following her “life-changing” experience last year, Charlotte, from Winsford, in Cheshire, is urging other young soloists not to miss the deadline for entries on March 1. The format will be slightly different this year, with the preliminary rounds being held at Llangollen Town Hall on Tuesday, July 2. The semi-final will then be held on the pavilion stage the following day with two finalists going head to head during the live televised concert in the evening. Charlotte, who trained at the Royal College of Music, said: “The competition gave me a massive boost. It’s been huge for my confidence and helped me push the boundaries of where I could go and what I can do. And the prize money gave me such a massive opportunity to further my career. Charlotte, who previously gained a First Class Honours Degree in Music from the Royal Conservatoire of Scotland, added: “I’d encourage any young singer to give it a go. “The year has been amazing. I toured the role of Uccelina in Paris organised by the Théâtre du Châtelet, and appeared at the Metropolitan Opera House in the same role latter touring the Scottish Highlands performing in Bambino for Scottish Opera. “I also performed at the inaugural Waterperry Opera Festival whose Patron is Jonathan Dove, the composer of Mansfield Park and I will reprising the role again this coming July. Charlotte’s success was music to the years of Pendine Park proprietors Mario Kreft MBE and his wife, Gill. Mr Kreft said: “This is the third year of the Pendine International Voice of the Future competition and the standard just seems to go up and up. Last year’s winner, Charlotte Hoather, was exceptional and a very deserving winner. “She is a supremely talented soprano and the competition has helped unlock the door to a hugely bright future. “Our aim in supporting the competition in conjunction with the Sir Bryn Terfel Foundation is to provide a springboard for brilliant young singers from around the world to achieve their dreams of establishing a career on the global stage. “Sir Bryn is living proof that supreme talent can take you a long way and we are delighted to doing our bit to help gifted young singers attain new heights. The festival’s musical director, Edward-Rhys Harry, said: “We are so grateful to Pendine Arts and Community Trust for their continued support for this truly international competition. “I know how much the competition has accelerated the career of Charlotte Hoather, last year’s winner and how she used her prize money to help further her career. “It’s a massive opportunity to perform before a big live audience and live on TV. My advice is very simple, if you are a young singer aged between 19 and 28 and think you may be good enough, then go for it. “This major competition is something that we need to nurture and thanks to the support of Pendine Arts and Community Trust young artists are getting an opportunity to further their careers. “It’s certainly a competition I’m really looking forward to and it promises to be one of the major highlights of this year’s International Music Eisteddfod. And another new aspect of the competition is that the winner will be offered additional performances at other venues. The competition really is going on to another level.